Baron v. der Heydte was a German paratroop commanding officer who led the first wave of the invasion of Crete in May 1941. He presents his recollections and experiences of this new form of warfare clearly and sympathetically. Although not a nazi supporter, as a professional soldier he and his men fought fiercely and took heavy casualties before the British forces evacuated Crete.There are innumerable books about the Battle for Crete and its aftermath written from the Allied perspective - by historians, combatants and those who were part of the later guerilla resistance: Beevor, Clark, Fermor, Fielding, Moss, Pack, Psychoundakis, Stephanides, Thomas and many others. Heydte's book is one of very few accounts of the battle from the German side, and I think it is excellent. 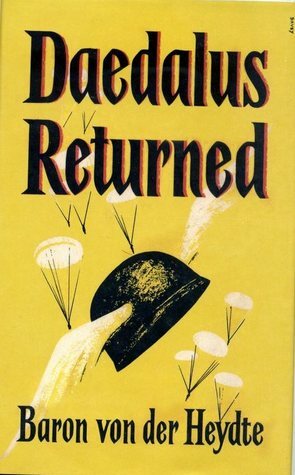 It should be read to complement one or more of the better-known British or Anzac books about the battle.Daedalus Returned is the English version, translated from the German by W. Stanley Moss who was himself one of the British guerilla agents on Crete later in the war, and who has written of his own experiences. Friedrich August Freiherr von der Heydte - Dr. jur. Dr. rer. pol. Friedrich August Freiherr von der Heydte (30 March 1907 – 7 July 1994) was a German Luftwaffe officer who served with the Fallschirmjäger during World War II, reaching the rank of Oberstleutnant. After the war, he served in the Bundeswehr, reaching the rank of Brigadegeneral of the Reserves.